I was trying to do a birthday card for my brother-in-law, got to the black ink stage and impatiently didn't wait for the previous wash to dry. needless to say, the ink bled everywhere and totally ruined my little painting. 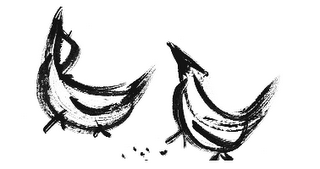 but then, i just started brush-doodling, and had a lot of fun. i think i need to find a way to incorporate more loose and big beautiful brush strokes into my work. 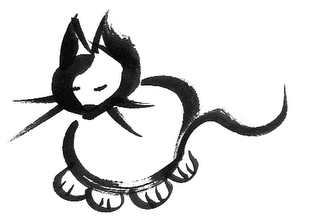 i feel like a japanese calligraphy master when i paint like this (though the results aren't so masterful!) but it's a lot of fun and I think I need to play more... below are my doodles pussycat with funny paws. but i love the stroke of his belly where the brush was a bit dry. 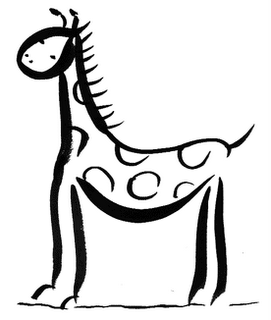 weird giraffe! looks like he has antennae.